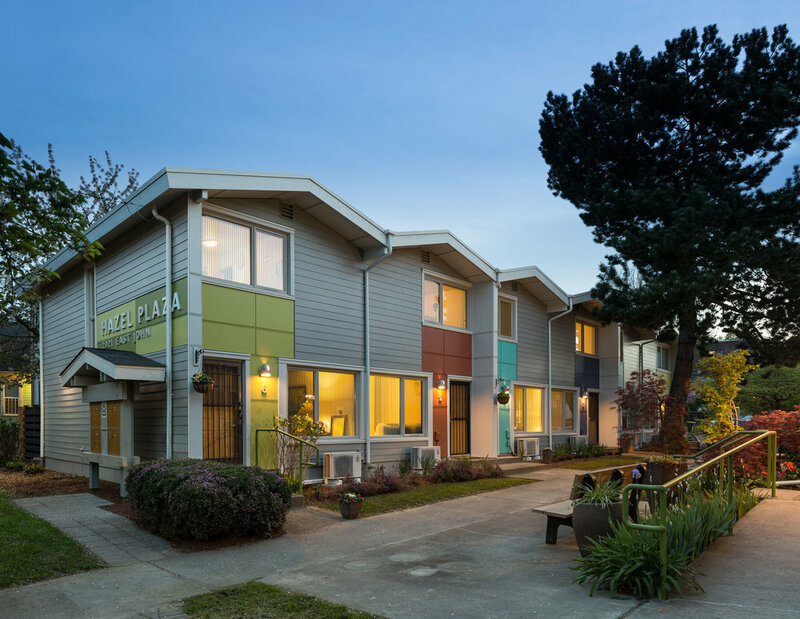 Built in 1971, the Hazel Plaza Apartments are a two-building, 16-unit complex of flats and townhouses operated by Capitol Hill Housing. EW’s 2015 renovations improved Hazel Plaza’s energy-efficiency, safety, longevity, and appearance. Exterior improvements include a new rainscreen cladding system over new insulation, weather protection, replacement windows, sliding patio doors, new privacy fencing, and seismic upgrades. Interior upgrades include new flooring and ventilation fans in kitchens and bathrooms, new kitchen cabinets, countertops, sinks, and light fixtures throughout. Construction was done with no tenant displacement.